The Taliban have made steps towards wanting to be seen as a legitimate political force, by setting up an operations office in Qatar on 18 June this year. 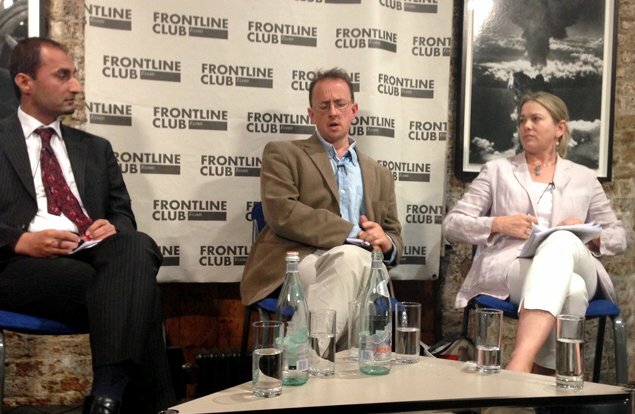 The First Wednesday discussion chaired by Paddy O’Connell at the Frontline Club on 3 July asked: Is talking to the Taliban a solution? Not long into the discussion, basic problems in communicating between different parties involved were brought up – what language would talks be held in? However any talks taking place could seem halfhearted, with the knowledge that the West will be pulling out of Afghanistan in 2014. O’Connell asked what the panel thought should, or would happen to bring about successful talks.